Post to post handrail systems, also known as continuous handrail systems, have a design that involves connecting lengths of handrails to the various fittings available to allow the handrail to flow over the tops of the newels as it changes pitch or direction. 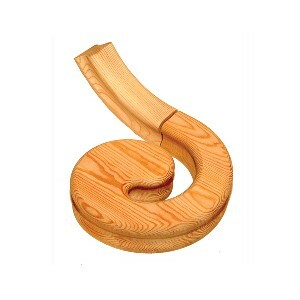 The connecting parts have a profile to exactly match the handrail to create a seamless appearance. Decorative volutes are commonly used at the bottom of stair handrails when the handrail stops at a bullnose curtail step and will be supported by a volute newel post and some spindles. 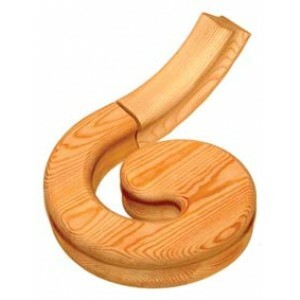 Volutes can be supplied as left-hand turns or right-hand turns.